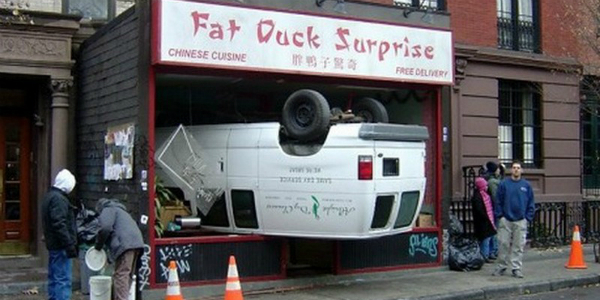 How On Earth Did These BIZARRE Car Accidents Happen? Car accidents cannot be a funny thing. They represent a tragedy that may cause people`s lives. We are pretty sure you`ve been a witness of a car accident, whether it is a word for a minor one to a real nasty crush. 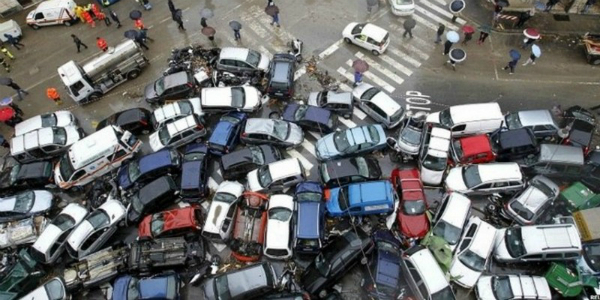 But what we saw in these photos really made us wonder: “We could never laugh on a car accident, could we?” Nevertheless, you are about to see 17 bizarre car accidents that simply cannot be explained.